Children have dreams, they aspire and they push – despite a lack of resources that many take for granted. Two RDF Matendla School students Premalatha and Rekha, who belong to families that did not even want to educate them. The girls were allowed to go to school, only because, the school, RDF Matendla School provided fee exemption to the girls and their siblings. 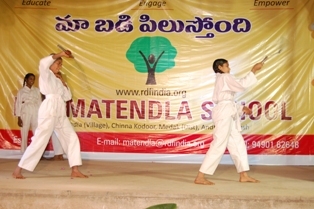 the school’s Physical Education Teacher encouraged the girls in learning martial arts. With determination and many hours of practice, including after school, the fire to achieve led Premalatha and Rekha to the District level completion in Ken-Bodo in 2012 They walked away with the Gold and Silver medals and the opportunity to participate in the National meet, at the time, due to be held in Jammu & Kashmir in 2013.. At their very first interstate sports meet, the 1st Open National Hapkido Championship was held at the Indoor Complex, MA Stadium in Jammu on 3rd & 4th May. Dr. Ashutosh Sharma, General Secretary, J&K Olympic Association were the Chief Guest. Overawed by the competition, new locale and the seriousness of the sport, the girls remembered that their entire school and village were supporting them in this effort. Finally, years of hard work, practice, heat and toil paid off, in the form of a Gold to Premalatha and a Silver to Rekha in the 47 kg categor. At RDF we believe in the dignity of labour and that our own hard work will reap results. We motivate the students to do their own work diligently and always help out their families. 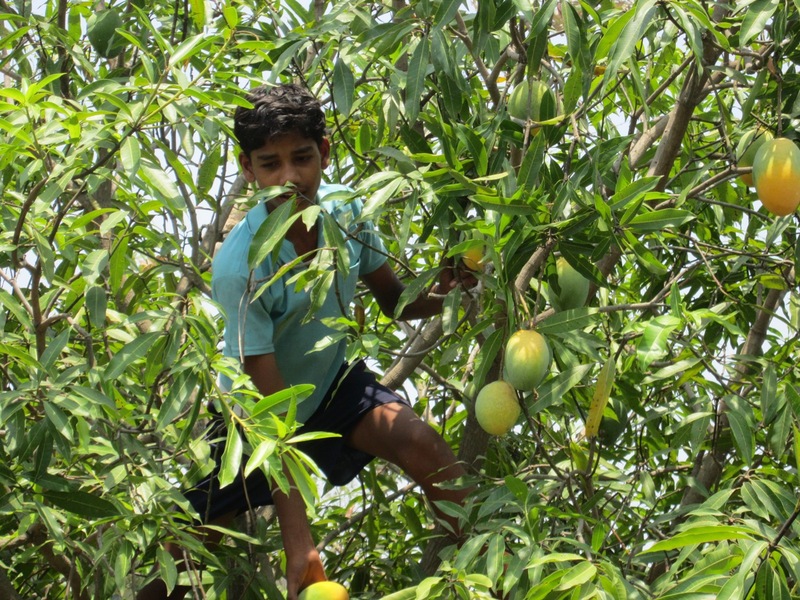 In this spirit, RDF Kalleda School children spent their holidays harvesting mangoes from the mango fields and earned money to support their families and therefore fulfill their primary needs. The students were very happy to pitch in and their parents were very proud to have such supportive children. We feel very happy to say that our children proved the RDF value of dignity of labor. 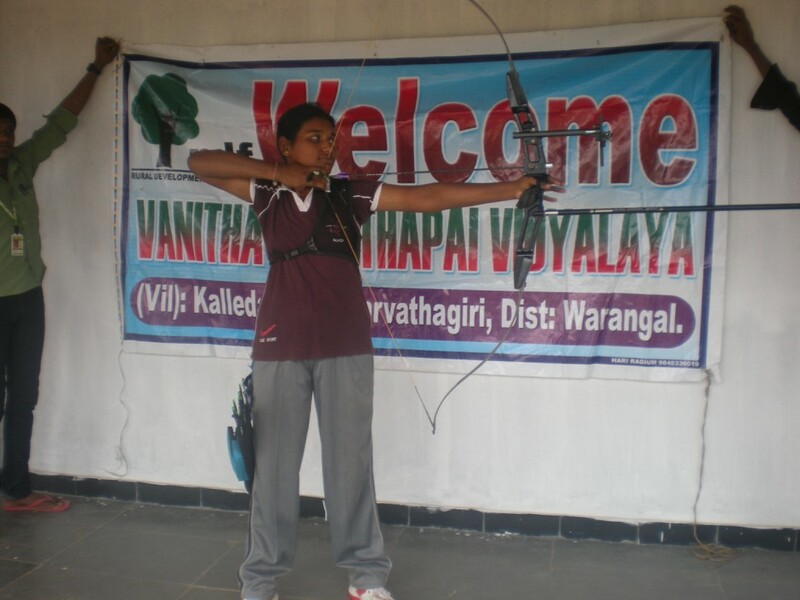 Sunkari Lavanya from VAPV Junior College has been selected for Seoul International Youth Sports Festa 2013, which is to be held at Seoul, Korea from 6th to 12th July, 2013. With this it is obvious that RDF not only provides quality education for students but also train them in sports such as Archery. We all have our fingers crossed for Lavanya, all the best! In RDF Matendla School C. Ashok from the 8th grade operates the water purification plant for the school and village every day. He has volunteered to do this and does it because of his keen interest in the purification machinery. Initially he didn’t know how to operator the machine, but after speaking to his teachers (along with a bit self teaching) he is now an expert in operating it. Now he operates plant every day on school days, and even on holidays. 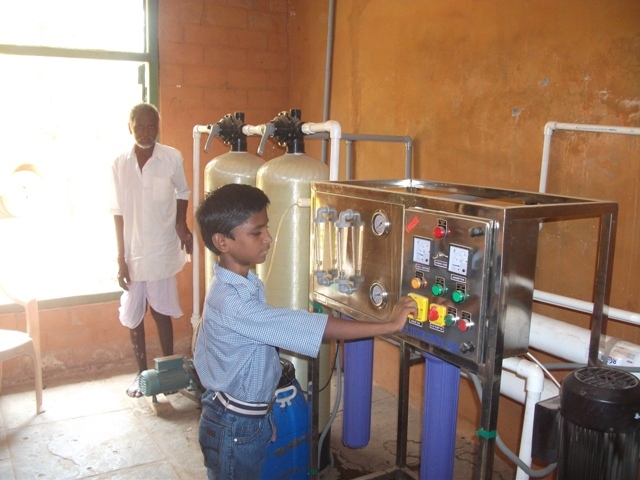 In fact on holidays he comes to school especially to wash the water plant and filter the water. He tries to learn all aspects of operating the water plant like checking TDS (Total Dissolved Solids) of water, washing pipes, changing the pipes and mixing the required chemical in water. This young chap is too tiny to even pick up the canisters of water (which the security guard helps him with) but he is still diligently comes and operate this mammoth machine. We would commend C. Ashok for his excellent work. RDF has a range of extra-curricular activities lined up during prayer time for the students where we spread messages of health, hygiene and creativity through short dramas or plays. 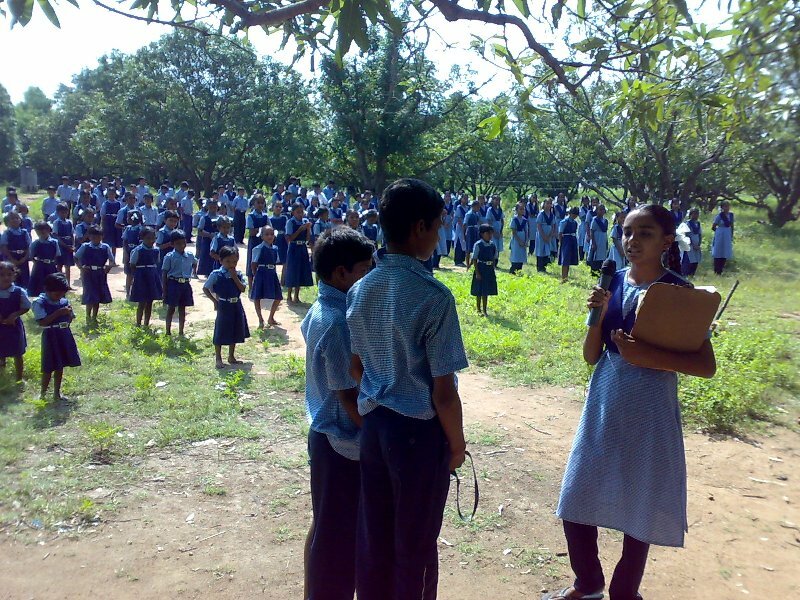 Among them, K Sruthi, M. Raju and M. Venkanna from the 8th class enacted a drama on biodiversity. The drama had to students playing hunters who hunt birds and animals each day for food. One day a RDF student sees them hunt and teaches them the importance of biodiversity and not harming animals. It was an important lesson taught through a lovely play.